Cannulae (the plural form of “cannula”) are the tubes we stick into ourselves to infuse insulin from our pumps. They’re either made of steel or flexible teflon. Some go straight in (90˚) and are available in 6 or 9 mm lengths. Some are a lot longer. Today 6 mm is a common recommendation, although longer ones are sometimes used for a variety of reasons. Some go in at an angle and thus the same length cannula won’t reach as deep. For example the Unomedical cannulae sold as Medtronic Silhouette, Animas Comfort, and Accu-Chek TenderLink are available in 13 and 17 mm versions. At a 30˚ insertion angle these roughly equate to 6 and 9 mm depth (although they’re apparently approved for insertion from 20˚-45˚ so there can be some variation). The Animas Inset 30 has a 13 mm cannula and its integrated inserter should get you fairly close to 30˚ every time. There are many different styles of cannula, and usually peoples’ choices are based on the style and insertion method (and the models available for their particular pump) rather than the thickness of the actual cannula. Personally I currently use a variety of cannulae, both 6 mm straight-in and 13 mm angled. Just to clarify the terminology: the cannula is the tubing that goes into us. An infusion set is generally the cannula combined with the tubing to attach it to the pump. Sometimes the terms get mixed up, but there is a difference. If you haven’t yet read the article about needle gauges, you might want to do that now. Those gauges are used to describe cannulae as well. The numbers produced by manufacturers tend to have some basis in reality, but often the numbers are cherry-picked to make them look better. Remember: “bigger numbers must be better”. A steel cannula is basically like a hypodermic needle (although the tip usually has a different design): it’s stuck into the body, and then insulin flows through it. So the “gauge” of a steel cannula is hard to argue with. But a teflon cannula is a different beast. A teflon cannula has a steel “introducer needle” down its centre (the needle wears the cannula like a sleeve). The combination is inserted into the body in a single rapid motion (so the teflon goes along with the needle without kinking) and then the introducer needle is removed. The insulin then flows through the flexible teflon tube where the needle was. But here’s where the marketers get to play games: do they advertise the size of the cannula, or do they advertise the size of the introducer needle? Which one will sound “better”? I did find documentation on the Cleo 90 which described it as having a 28G needle and a 26G cannula. No-one else seems to mention the issue. But the answer seems to be that they almost all advertise the size of the needle. As an example, I measured the introducer needle of the Medtronic Silhouette as 27G, although when including the teflon sleeve it was coarser than 24G (it’s hard to be precise, as the micrometer started to deform the teflon when tightened). Once the introducer needle has been removed, it seems fair to consider the internal diameter of the Silhouette cannula as being equivalent to 27G (even though strictly speaking the Birmingham Gauge only applies to outside diameters). However, Roche describe the Accu-Chek TenderLink as having a 27G cannula (despite the needle measuring 27G). The Animas Comfort (the same set as the TenderLink and Silhouette, manufactured by Unomedical just with different connectors) is advertised as 25G. And Roche describe the FlexLink as having a 25G cannula even though I’ve measured the diameter of the needle as close to 0.41 mm (27G) rather than 0.51 mm. The FlexLink needle+cannula together seem to have a diameter closer to 23G than 25G! The Medtronic Quick-set is the same. It’s a bit of a mess. Usually they’re referring to the size of the needle, but sometimes even that’s incorrect. Because it gets complicated comparing the gauge of steel and teflon cannulae, I’ve separated the lists. First the steel cannulae currently available through NDSS, with their “outside gauges”. (same as Orbit micro?) 31G? The tiny Orbit micro is interesting. I have heard feedback from users overseas that because of its thin-ness it’s slightly flexible and is more comfortable to wear than some of the other steel cannulae. Remember, these gauges are probably those of the introducer needles inside the cannula itself. So maybe we should think of these as their “inside gauges”. Do note that some of the gauge numbers here differ from those shown on the NDSS list of infusion sets! (same as Orbit soft) 27G? (same as Orbit soft?) 27G? 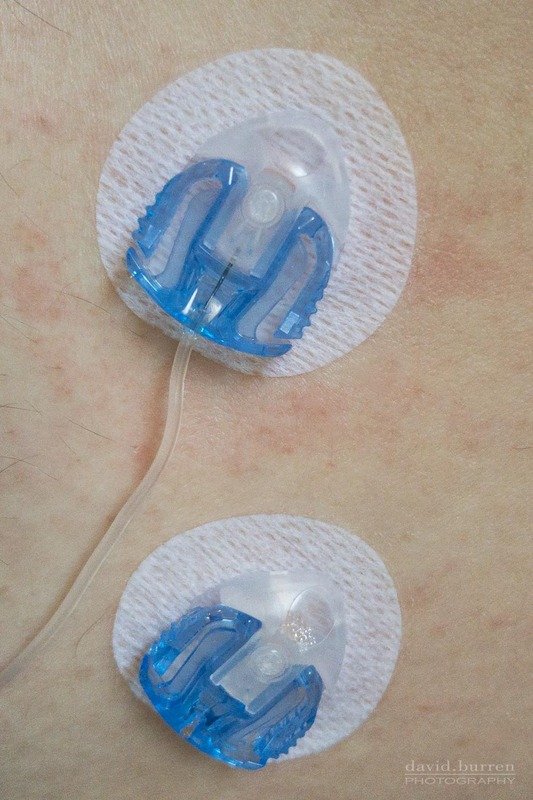 As noted, the Inset II and Mio infusion sets only differ in the connection to the pump. Here’s a photo of them side by side: the extra lump on top is merely to house the bulky Medtronic connector (and protect the central needle). 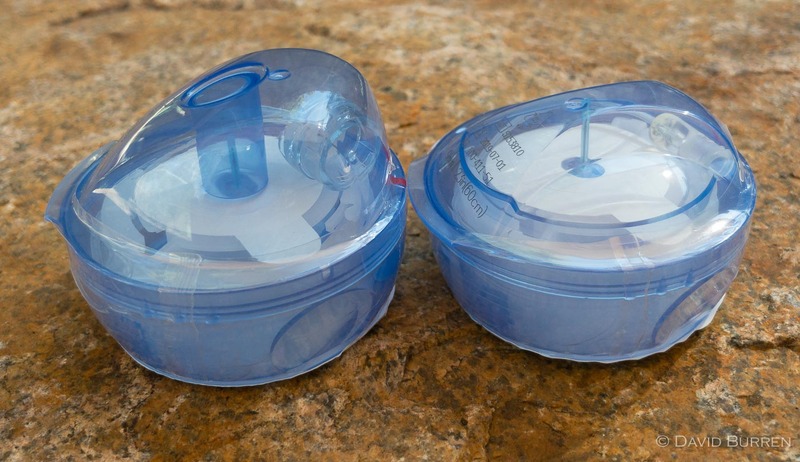 Several of Medtronic’s other infusion sets (Quick-set, Silhouette, and Sure-T) are available to suit luer-lock pumps, because Medtronic’s earlier 507/508 pumps used that connector. But not all variants are available in that form. There are other cannula types available outside Australia of course (for example the Mio 30 which is essentially an Inset 30 with Medtronic pump connection,f and the Mio Advance). If you do an internet search for cannulae you may come across those, but I’ve limited this list to those available through Australia’s NDSS. Are the gauges actually correct? I cannot guarantee the accuracy of all the figures in these charts, but they are as correct as I have been able to determine. If you look closely at the NDSS order forms you may see some typos (at least in April 2018) such as describing the DANA Easy Release II as a 17G cannula (although the manufacturer describes it as 27G, and a 17G needle would be 1.47 mm wide). The Medtronic Silhouette as 27G, plus the Roche inconsistencies as described earlier. I think these errors are quite old and have probably been copied to a few other sites over the years. But I think we can cut NDSS some slack, given the inconsistencies that actually come from the vendors themselves! Does the cannula gauge actually matter? Other than the comfort issue described above with the 31G Orbit micro, I think most people don’t pay much attention to the gauge of the cannula, paying more mind to the choice of length. Pumps generally infuse insulin much more slowly than pens, so the earlier discussion of the drawbacks of fine pen needles probably doesn’t apply. But cannulas stay in the body for much longer (the advice is generally teflon for up to 3 days and steel for up to 2 days) and it could be possible that in some people certain cannula designs are more prone to occlusions than others. Also while the difference in size between a 24G introducer needle and 28G is fairly significant, the differences between 26G/27G/28G are much smaller. Some people choose teflon for comfort, some choose steel because they don’t get kinks. While some people have no choice because they’re allergic to one of them. As you can see pump compatibility, cannula length, gauge, and cannula material (steel vs teflon) are all factors. But there are of course more. Some people may have skin reactions to the adhesive used around different cannulae. The insertion procedures vary for each of these models, and we need to be comfortable with sticking ourselves with one of these cannulae every few days! The combination of the above factors can result in some people encountering high numbers of occlusions and “kinks” needing replacement of the cannula. Not only is the rigmarole of inserting another cannula a pain, but having hours of your insulin not working is a major life disruption! If this frequently happens, either a change in technique or a change in cannula model can help. Not necessarily changing from teflon to steel, although that can be one of the options. Some sets are available with shorter or longer tubing (to attach to the pump) and this can give you more flexibility in arranging your clothing and your pump. 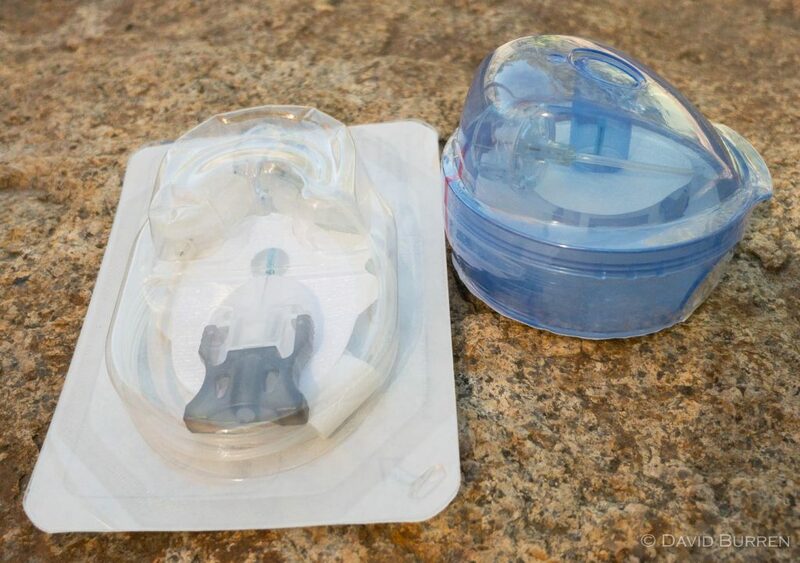 The packaged infusion sets vary in size, and especially when travelling this can make a big difference. For example although I’ve used the Inset II / Mio sets for years, they take up a fair bit of room (each has an integrated inserter device). The main reason I also use the Comfort/Silhouette sets is that I can easily have one stashed away as a spare, as well as having a complete set of them for a multi-month trip in my carry-on luggage while still leaving space for all the other gear I have to carry!